A commission by kayote on here. 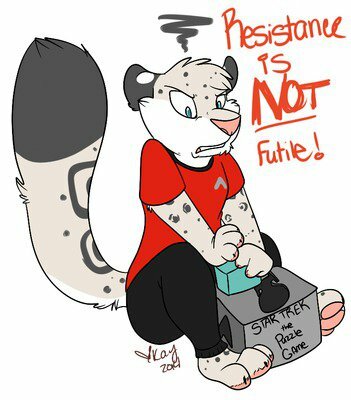 Something to encourage me to think through my problems at this difficult part in life, rather than mindlessly try to ram a Cube into an Enterprise Shaped hole. Because if you do, you end up as a red-shirt.